Employees in this department include beauticians, medical staff, massage therapists, fitness instructors, cosmetologists etc. Their main task is to contribute to the physical well-being of the passengers. Beauty salons onboard cruise ships are very popular. Specialised beauty therapists should be able to provide the usual treatments, such as hair styling, manicure, pedicure, etc. Manicurists, also called nail technicians, provide treatment of nails and skin and instruct the customers on proper hand and foot care. Cosmetologists provide top quality facial and body treatments, such as waxing. Several years' previous experience from beauty salons is required. Salaries range from $2200 to $3000 per month. Hair stylists perform hair colouring treatments, permanents, straightening treatments, conditioning treatments and style cuts. Their customers are passengers, as well as crew members. Previous hair salon experience is required. Salaries range from $2200 to $3000 per month. Apart from workout classes, most cruise lines offer the passengers instruction in yoga, aerobics and dance. The fitness instructor leads a group of clients and gives advice on exercising, health and diet. Appropriate qualifications, such as RSA or YMCA Group Exercise to Music are required, as well as relevant previous experience. Salaries range from $1800 to $2500 per month. Some large cruise ships have swimming pools for passengers. 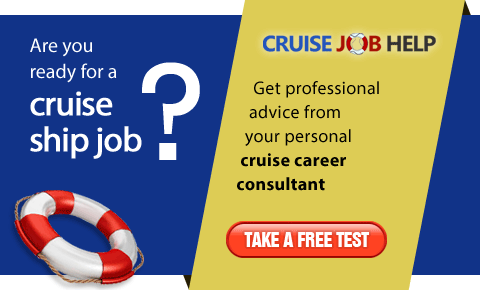 The lifeguard's job on a cruise ship is very similar to the same job onshore: to supervise swimmers, prevent accidents, make sure all safety requirements are met, provide first aid when needed, suggest emergency procedures, maintain rescue equipment, etc. Previous experience is desired. Salaries range from $1600 to $1800 per month. 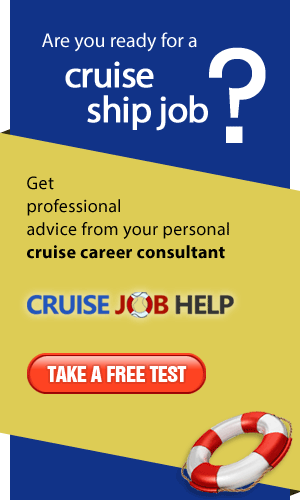 Only registered nurses with a minimum of three years experience are hired for cruise ships. Nurses are on call 24 hours a day. They perform routine and emergency care to passengers and crew members. Contracts are usually for six months. Salaries range from $2800 to $3400 per month. The doctor is on call at all times. They perform emergency and routine surgical procedures to passengers and crew members. Previous experience and relevant education is always required. Salaries range from $4500 to $7000 per month. Must be qualified with several years experience. Clients include both passengers and crew members. Salaries range from $4800 to $7000 per month. Spa attendants assist passengers during spa treatments, as well as take bookings. They must have a good knowledge of hydrotherapy, relaxation and detoxification techniques. Salaries range from $1800 to $2000 per month. Massage therapists must be able to provide passengers with a choice of techniques: Swedish, Thai, Relaxation, Deep Tissue and Sports massage. Must be licensed and experienced in the area. Salaries range from $2800 to $3800 per month.